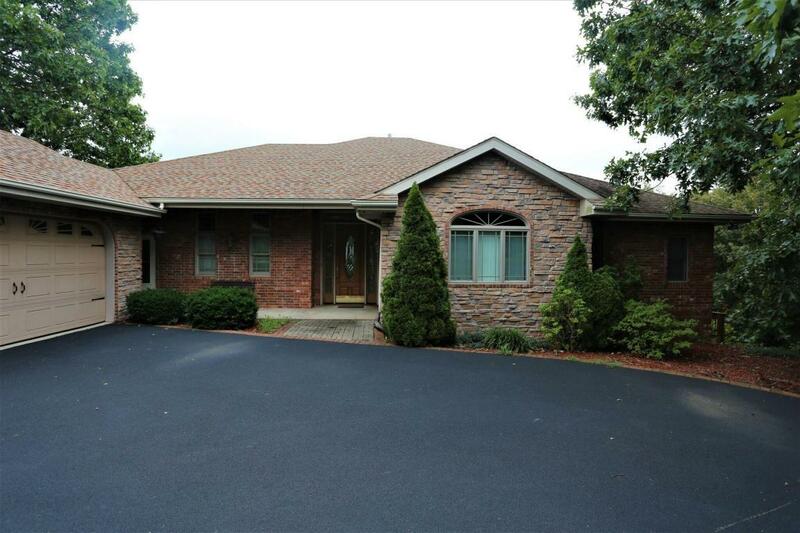 Spectacular 4 Bedroom, 4 Bath Home on 9.17 acres. Fireplace, Granite, Custom Oak Cabinets & Built-ins, Media Room, Central Vac, Formal Dining Room, Office, Library, Garden, Pond, Fruit Trees - apple, plum and cherry berries. Security System, 50x50 Shop, RV Storage. Close to Table Rock & Lake Taneycomo. Close to all of Branson Attractions. Close to Big Cedar Lodge & Airport. MUST SEE!